A fabulous detailed map of Nantucket made of marble, mother-of-pearl and lapis with a mother-of-pearl compass rose to the right of the island. It sits on a handcrafted iron base. 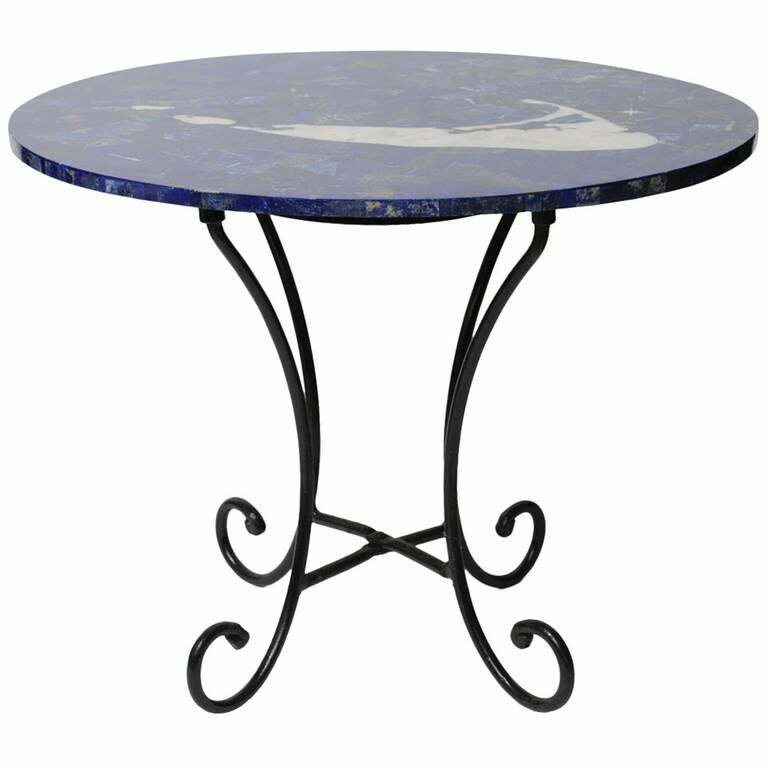 Pietra Dura marble and jasper stone inlay tabletop in an intricate pattern on a handwrought iron base. Marble top is 1" thick. Great inside or out. Original ship's decking made of teak...allowing for easier traction on a wet deck. It is mounted on a custom-made iron base, Mid-Century. 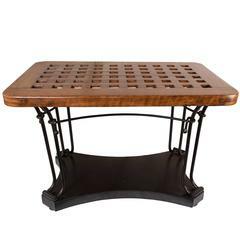 Square French style iron base table with wood top. Garden table or bistro table Ideal for hospitality. Indoor and outdoor.